Foreclosure will lower your credit rating, which could reduce your chances of winning a new job or a promotion. 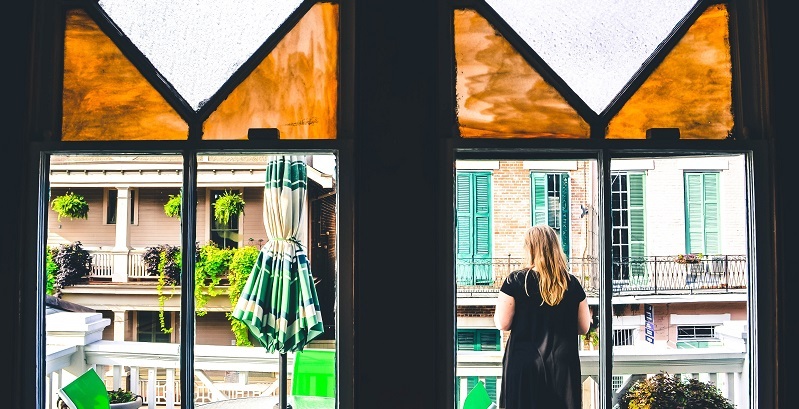 What are the other impacts of losing your New Orleans home to foreclosure? Whether a foreclosed home was abandoned or voluntarily deeded back to the lender, the toll foreclosure takes on a homeowner’s life is devastating on many levels. Of the many adverse consequences of foreclosure in New Orleans, one of the most damaging is the negative impact it has on the homeowner’s credit. Missed mortgage payments and defaults will show up on your credit report and remain there for seven years, harming your purchasing power as well as your ability to rent an apartment or sometimes even obtain employment. A bad credit score might not only cost you a new job but could also make your present work situation more problematic. Many employers check a prospective employee’s credit score during the interview process, and also that of current employees at the time of their annual review or if they are being considered for promotion. But before a potential employer can pull your credit history, be aware that you must sign a release. Foreclosure can also have negative tax consequences, as any losses accrued by the lender will be considered income for tax purposes. The Internal Revenue Service (IRS) may require that you pay taxes based upon your increased income, causing you to owe more taxes and potentially even putting you in a higher tax bracket. If your lender sells the home for a profit, you could even be held liable for taxes on the gain, depending upon the circumstances. If your home goes into foreclosure in New Orleans, you will have to surrender it, no matter how much you owe and what it might be worth. Any equity that you’ve built up in the home can be greatly reduced or even disappear entirely. During the foreclosure process, lenders can add fees and penalties to the amount you owe, and often accept low appraisals in an attempt to sell the property quickly. Your down payment, the increases in your property value, and any money you may have spent on improvements to your home may all be lost. Foreclosure is difficult for people on many levels, including emotionally, often prompting feelings of stress, sadness, shame, and anger. According to a 2009 study that examined the health of homeowners facing foreclosure in the Philadelphia area, those who were two months or more behind on their mortgage payments were found to have elevated levels of both hypertension and heart disease, and more than one-third of those studied were also considered to be severely depressed. Another survey published in 2012 found an increase in symptoms of major depression and generalized anxiety disorder (GAD) among those undergoing foreclosure and recommended that mortgage counseling agencies refer those undergoing foreclosure to low-cost mental health services. According to an article in the May 2009 Journal of Real Estate Finance and Economics, foreclosures result in higher incidents of vandalism and a negative perception of a neighborhood and community overall. The most serious impact of foreclosure upon a neighborhood noted is an estimated 8.7 percent drop in area property values. Are you facing foreclosure? If so, you need to know that there are options. Big Easy Buyers will buy your home for cash in 30 days or less — before the bank forecloses. Contact us at (504) 513-7878 or use our quick online form to learn about our 4-step process to free you from foreclosure today.